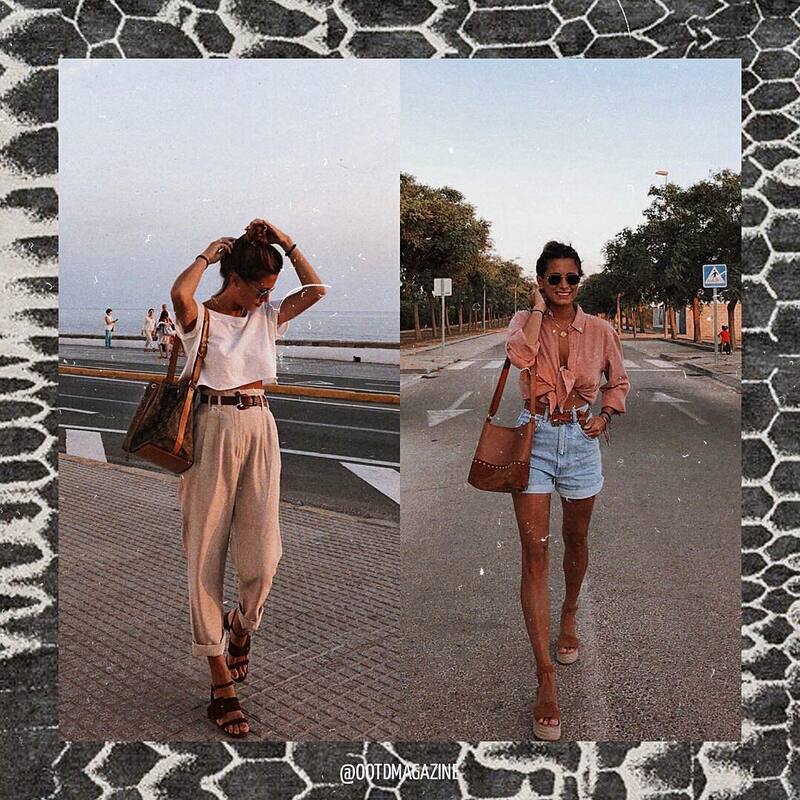 If you do love creativity and Summer essentials, then here we see two precious outfit ideas that are so must-try for Summer vacation. The first look comes with a relaxed white tee teamed with cuffed beige pants and black sandals. The other look includes a front-tie pink shirt teamed with denim shorts and platform sandals. Complete these combos with tote bags. 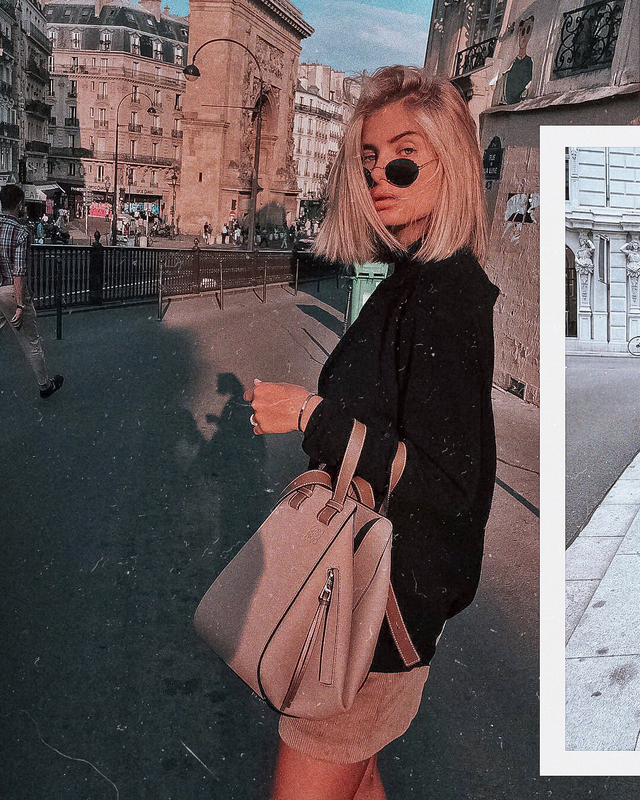 Check out these simple day looks for Summer street walks. 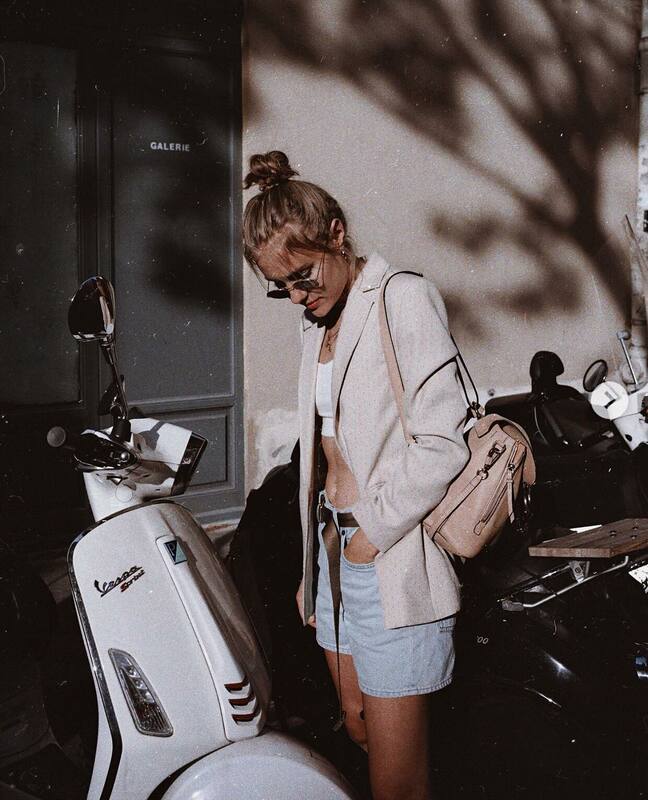 We see a young lady wearing three different OOTD, including the one that features black bomber, camel shorts, and cream beige handbag, the one that consists of a semi-sheer black crop blouse teamed with denim shorts and black-white plaid trench coat for cold Summer days. Which look is your favorite? Check out this simple outfit idea for a Summer vacation. We see a straw brim hat, tweed crop top and frayed denim shorts that ideally match casual beach days. In search of a cool Summer look for parties and beach walks? Try on the following OOTD. It consists of a spaghetti strap black bodysuit teamed with denim shorts and white trainers. Summer is almost here and I can’t wait to show off my beautiful legs. In today’s post, I want you to have a look best shorts to wear this hot season. I recommend you to look through these marvelous street style images where ladies appear in awesome shorts and choose your favorite shots. You can finally expose your gams and feel the warmth of the sun. Anyway, make the most out of the upcoming 2018 summer season by choosing your favorite shorts. Don’t forget to tell me your thoughts in the comments below. Hello, Fashion addicted! 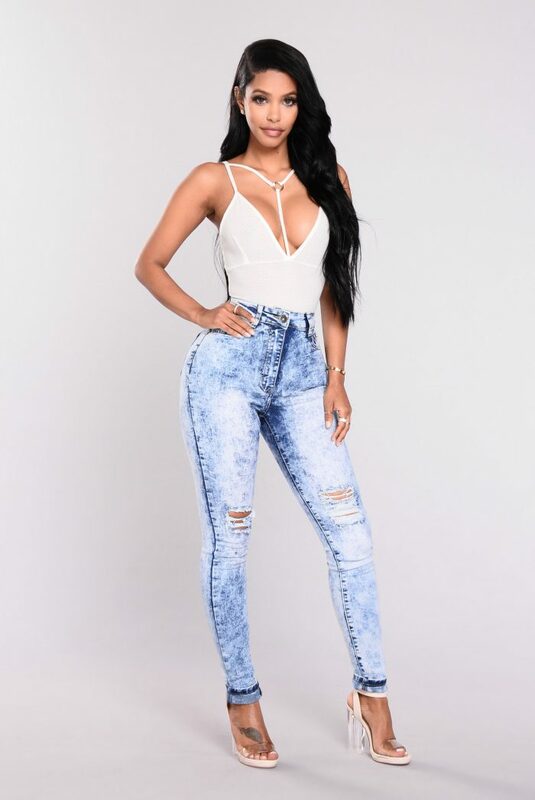 In this article I want you to have a look through my favorite summer fashion trends that are ideal for your next vacation. If you are going on a vacation, then you should know what kind of looks are ideal for your upcoming trip. No matter where you are headed: tropical island, ski resort, ship cruise or any kind of city visit, it’s essential to always look at your best. Anyway, read on to see my favorite vacation style tips and let me know your thoughts in the comments below. Hello, Fashion addicted ladies! In today’s article, I am about to share with you an awesome collection of street style images where ladies show us how to wear acid washed denim this year. As we all know, this style was on trend in the last 1980’s. Most brands and designers offer its clientèle blue washes, but we see cool styles in grey and black shades. Personally, I think that marbled effect looks more sophisticated on darker denim shade.